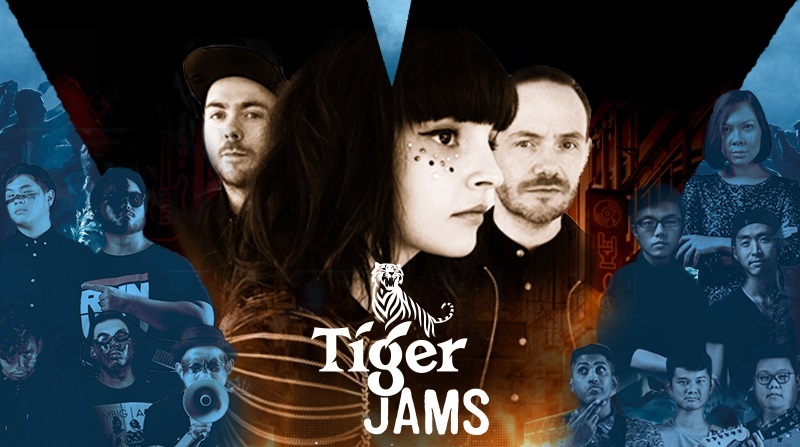 We finally found out who’s that mysterious international act that Tiger Jams has been hiding from us — CHVRCHES, a synthpop band from Scotland. 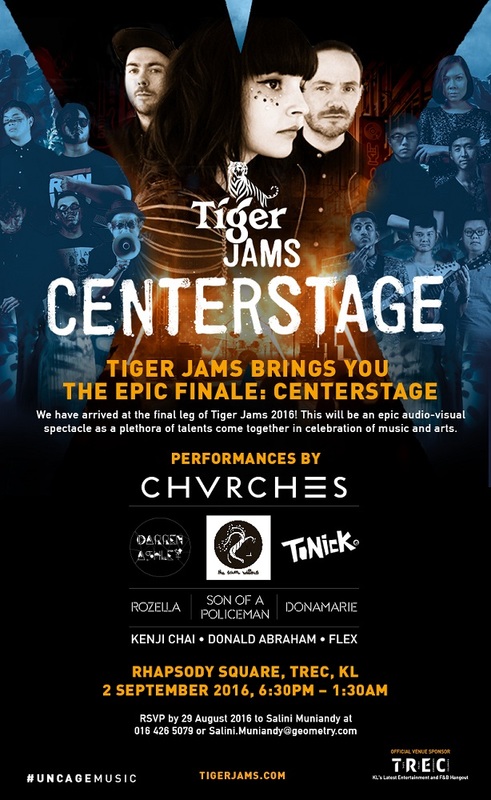 And they have handpicked Tiger Jams finalist Rozella, Kota Kinabalu’s electronica artist, to collaborate with for an exclusive, special Tiger Jams remix. In a video call, Chvrches told Rozella that they “loved the simplicity of (her winning track Home To You”, which allowed them more experimental space to inject their sound including incorporating voice chopping. Personally, I feel that it’s a right fit between genres, sound and feel. Formed in 2011 as a studio project between long-time friends Iain Cook and Martin Doherty – Chvrches, which also features Lauren Mayberry on lead vocals, released their debut album, The Bones of What You Believe in 2013. The album earned them widespread critical acclaim as well as a strong fan base after touring extensively throughout 2014. The band’s sound mostly derives from the synthpop genre, with indietronica and indie pop influences. Their second album, Every Open Eye, was released in 2015 to rave reviews, and this year band wrote the original track to the recently released Mirror’s Edge Catalyst, an action-adventure platform video game. Tiger Jams Centrestage will be happening at Rhapsody Square, TREC KL this Friday 2 September 2016, 6.30pm onwards. The other two finalists Sons of a Policeman (SOAP) and Donamarie along with acclaimed Asian acts The Sam Willows (Singapore), ToNick (Hong Kong) and Darren Ashley (Malaysia). Tickets are exclusively for the invited only. Find out how you could win yourself one at Tiger’s FB Page.